Fern Feto Spring is a professional astrologer who has been practicing since 1990. She has studied with a variety of teachers, including Steven Forrest, Rio Olesky and Asata Gabriel. Fern is the co-author of Simply Sacred: Everyday Relationship Magic and has also written for The Mountain Astrologer, Llewellyn Books Calendars, Starlines Calendars and Sasstrology.com. 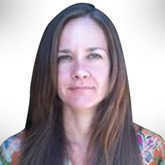 She teaches and sees private clients in the San Francisco Bay Area and nationally. To read Fern's blog and articles or to schedule an Astrology reading, visit www.wisestars.net.